This is a comic strip on pop music and singers and teaches you how to become a successful singer in 5 steps! At first you have to practice dancing and then leave your home and family (specially your mom!) after you'd better sing like a famous artist. Interview with magazines and at last if you have time you would do some practices for singing! 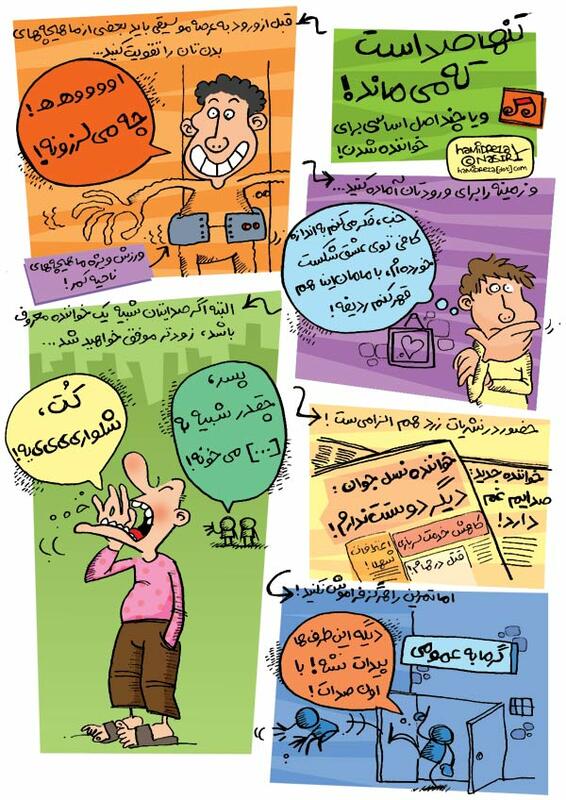 This work was published in Bacheha…Golagha weekly (satirical weekly for children) December 2004.